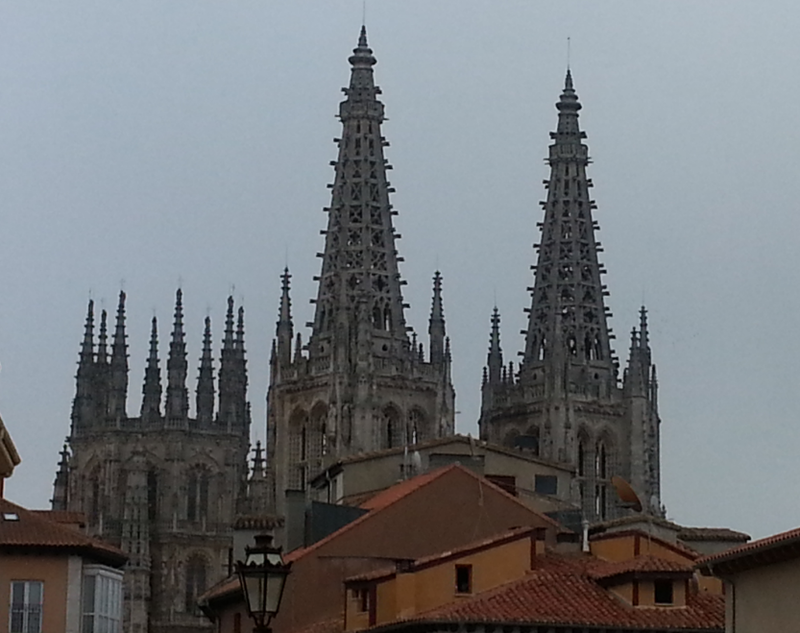 It took awhile to leave Burgos and all was quiet on Sunday morning. It turned out to be a beautiful day for walking. 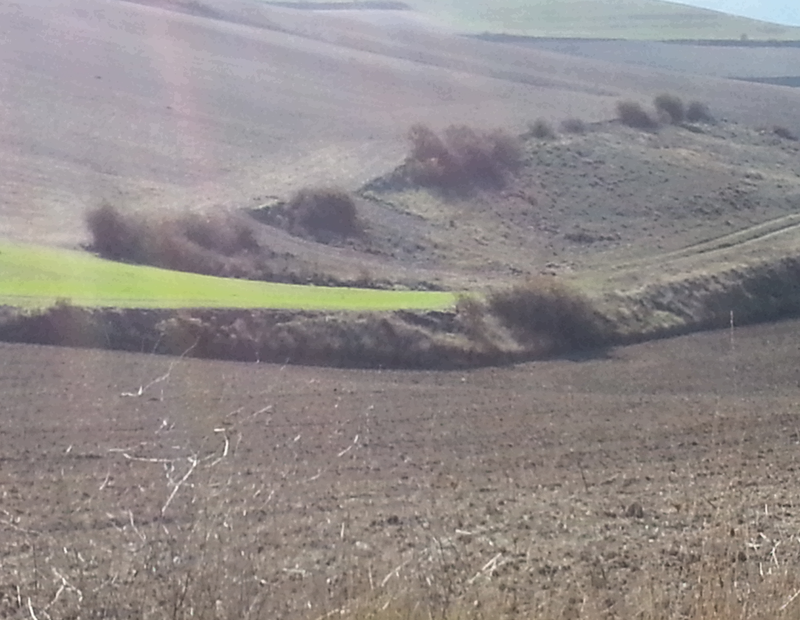 We’ve entered the meseta, the plains which will continue for several days. 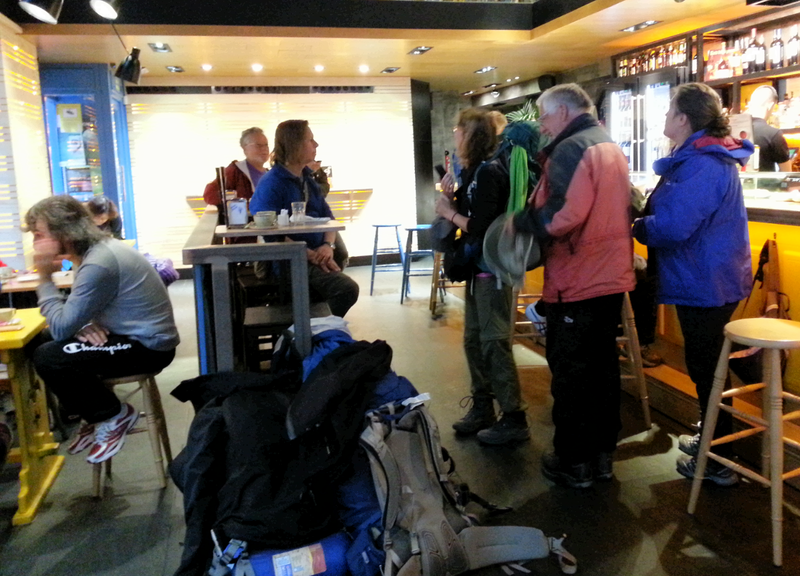 Tonight I’m staying in Albergue El Alfar, which is small and very friendly. I was here last year too. 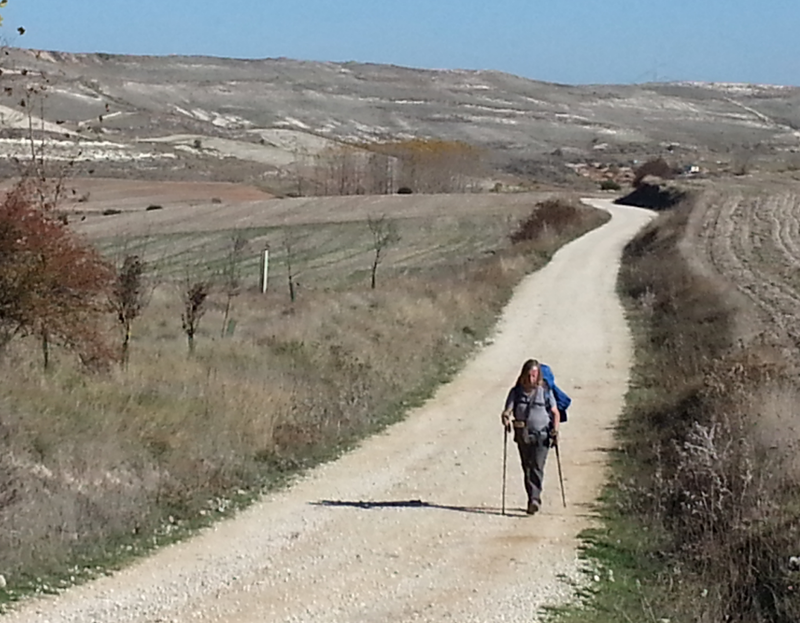 I’ll be resuming my camino in Burgos in April. Do you recall the name of the cafe you breakfasted in? Thanks again for the photos! It was Casa Papamoscas, on the street to the right when you face the cathedral office, at the next corner. Unfortunately, the good food didn’t start coming out until about 8:30 a.m. Until then it was just sweets. That’s why it was tempting to stay!